A broadcast about the Supernatural & Paranormal with the ' The Unexplained World ' of different subjects pertaining to the supernatural, paranormal and the unknown with guests covering the various topics of interest, callers and once in awhile psychic/medium readings. 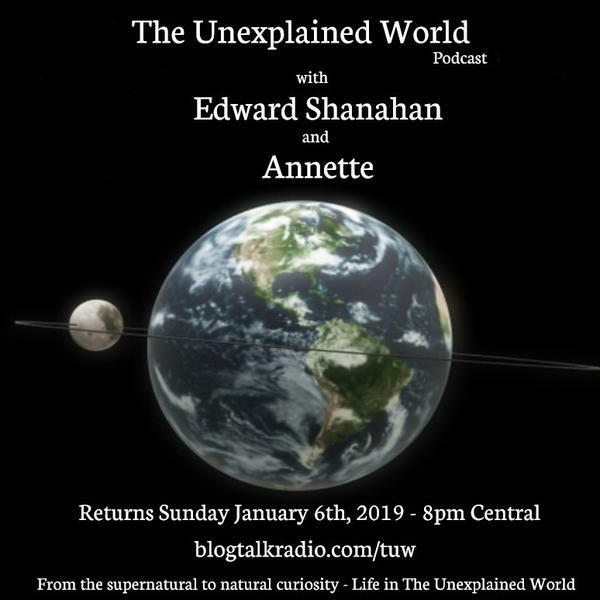 The show's hosts are Edward Shanahan, a Chicago Psychic Reader, Medium, Paranormal Explorer, Author and received the award 'Best Chicago Psychic' plus Annette, she is a Pagan Truth Seeker and involved in the Spiritual field for over 30 yrs. Holiday Show with Santa, Gummi Girl, tribute to our Soldiers, Yule, Christmas and more.. The House of Hell - and it's still active.